A peaceful area to raise a family or establish a stronghold for a business, South Kingsville is a delicate area with an air of serenity around it. Rich in nature and colour, having a residential or commercial property in this area, only makes having an appealing and eye-catching outdoor area all that more important. It’s here that South Kingsville’s best and most reliable landscaping company in Brisk Landscaping can help. Our services across the landscaping industry are so vast that we can satisfy all our clients. As well as designing landscapes for outdoor areas, such as decks and patios, and laying our new turfs and pavements, we offer the best service in project management. Alongside creating and developing lavish designs, we offer garden, ground and property maintenance and special services such as tree lopping, trimming and bobcat work. If there is anything you need done, our team can plan it all out for you, and deliver it successfully and effectively. We pride ourselves on making our customers happy and relaxed, not just with the end product, but the whole process. That is why we believe in being with you every step of the way. From the very commencement of the project, such as planning out the design, to the final execution of the project, we will be side by side with you, offering you a level of comfortability. We understand that our clients want to be kept informed as the process goes along. That way we offer security and reassurances throughout the whole construction. 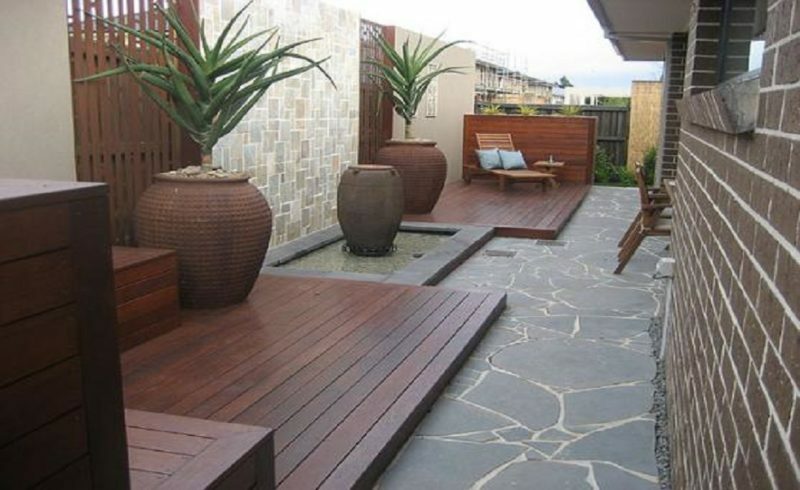 If you are ready to begin your outdoor area makeover, and want the best in the South Kingsville area, then you have to call in the Brisk Landscaping professionals team.